Special invitation to my friends in NYC. Event is located in Philadelphia. If you have never been to Philadelphia, my exclusive Union Protected content event may actually be the nudge that you need. Founded in Protected content , theProtected content most prestigious private members only club in the United States. The League's distinguished collection of art and artifacts adorns the walls and hallways. 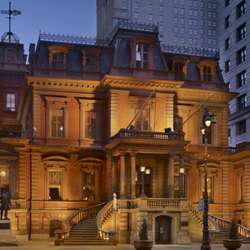 The collection is a rich chronicle of Philadelphia's unique imprint upon the American landscape from the 19th century to today and is recognized by historians and art experts as a valuable component of American history. * Event is located in Philadelphia.